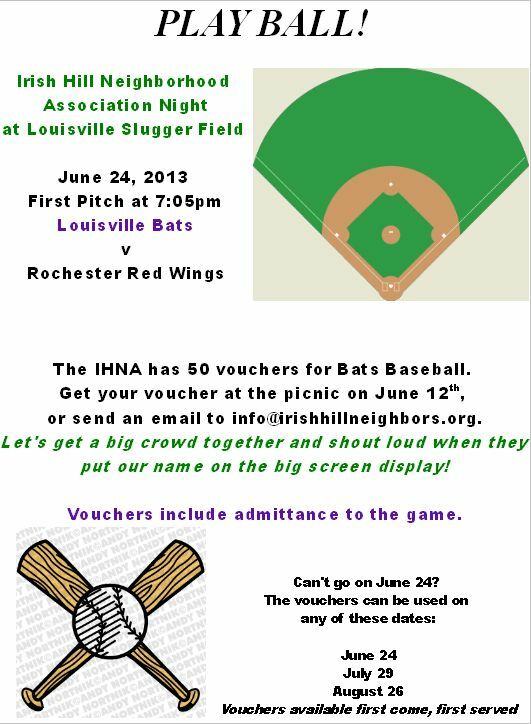 The IHNA has 50 vouchers for Bats Baseball. Get your voucher at the picnic on June 12th, or send an email to info@irishhillneighbors.org. Let’s get a big crowd together and shout loud when they put our name on the big screen display! Vouchers include admittance to the game. 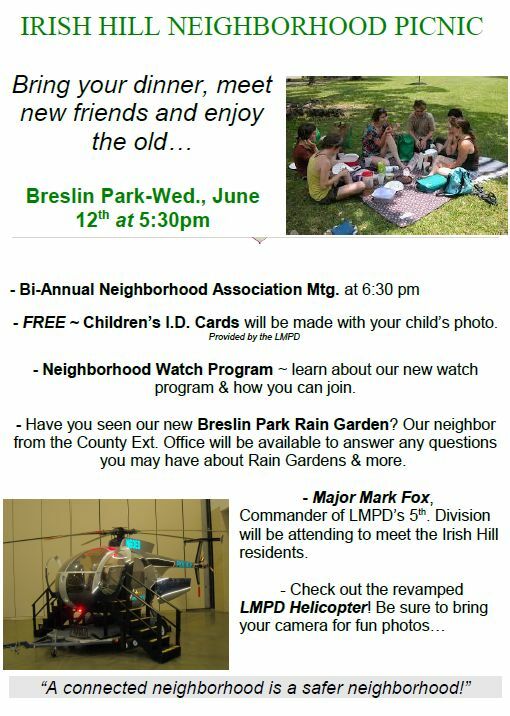 – Neighborhood Watch Program ~ learn about our new watch program & how you can join. – Have you seen our new Breslin Park Rain Garden? Our neighbor from the County Ext. Office will be available to answer any questions you may have about Rain Gardens & more. – Major Mark Fox, Commander of LMPD’s 5th. Division will be attending to meet the Irish Hill residents.